Dawn of the Dead (also known as Zombi internationally) is a 1978 horror film, written and directed by George A. Romero. It was the second film made in Romero's Living Dead series, but contains no characters or settings from Night of the Living Dead, and shows in larger scale a zombie epidemic's apocalyptic effects on society. 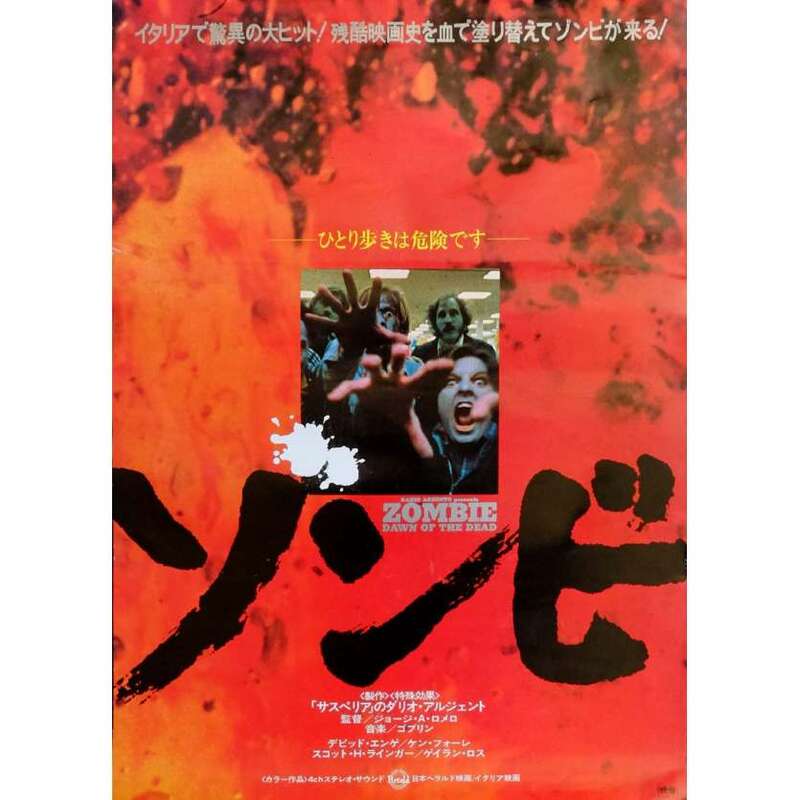 In the film, a pandemic of unknown origin has caused the reanimation of the dead, who prey on human flesh, which subsequently causes mass hysteria. The cast features David Emge, Ken Foree, Scott Reiniger and Gaylen Rossas survivors of the outbreak who barricade themselves inside a suburban shopping mall. Dawn of the Dead was shot over approximately four months, from late 1977 to early 1978, in the Pennsylvania cities of Pittsburgh and Monroeville. Its primary filming location was theMonroeville Mall. The film was made on a relatively modest budget estimated at $650,000 US, and was a significant box office success for its time, grossing an estimated $55 million worldwide. Since opening in theaters in 1978, and despite heavy gore content, reviews for the film have been nearly unanimously positive.